Stop me if you’ve seen this one before! As soon as it got a little bit chilly, it was time to put socks back on the beast. 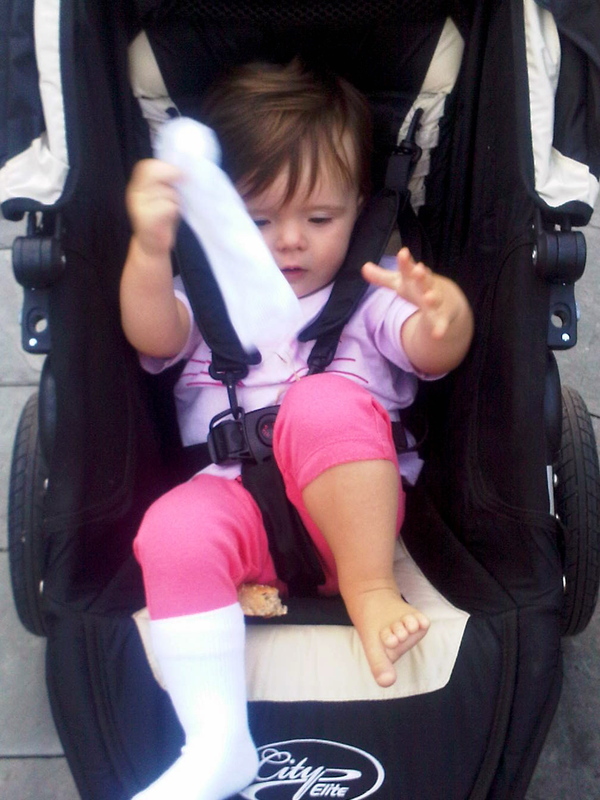 Maddie has been wearing shoes for a couple months now, but all of our old sock issues have come back in full force. The sock terrorist has once again declared a jihad against her infidel socks. The only difference now is that there is no struggle. Maddie grips it and rips it and the offending piece of clothing is gone in a flash. It’s no longer any kind of challenge for her. The challenge now falls to her parents as the temperatures will continue to fall. 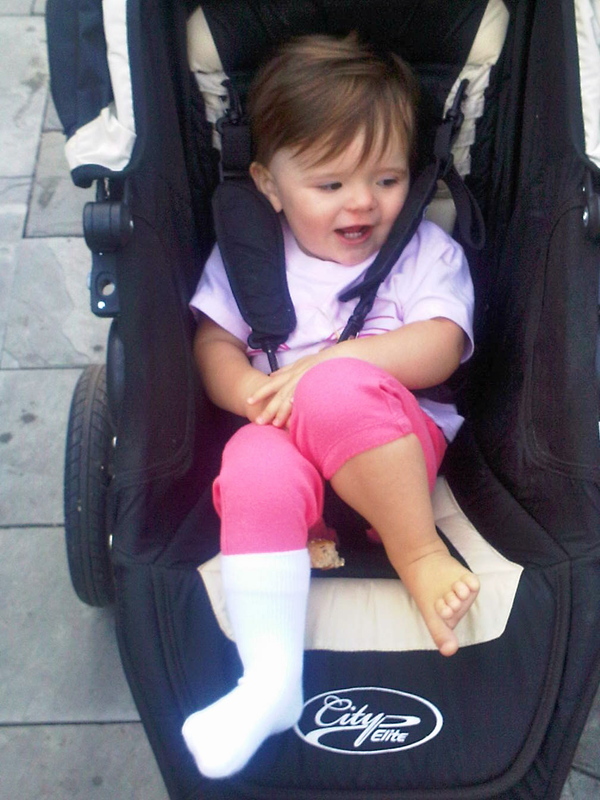 Looks like little Maddie will be sporting high top shoes all winter long. I’m pretty sure you only put one on me this morning. This entry was posted in Baby, Family, Parenting and tagged baby, clothing, family, Fashion, Footwear, outdoors, Parenting, Sock, Socks and Hosiery, style. And a new addition… All long pants get pulled up and magically become shorts. Clearly she prefers summer.